For many customers, a standard solution will not solve their individual business challenges. We build custom technology solutions as a response to customer requirements that cannot be solved by current, static or off-the-shelf platforms. Specifically, we focus on solving distinct issues between the flow, access and use of data, paper, business processes, hardware, software and integration. Our only inhibitor is the speed at which our customers can make decisions. We have the ability to solve very distinct, costly business issues within any organization, across a wide variety of business process functions. As a result, we help our customers reduce cost, deploy faster and gain more control with their business process and workflow requirements. Struggling with the cost, timeframes and customer service issues associated with a manual back office operation? Need to cut 30% out of your operating budget, while increasing automation and efficiencies for data, paper, imaging, customer interaction? Does your Healthcare IT organization have a flexible, lower cost and more rapidly deployed answer to application connectivity and analytical use of data? Need a mobile business process solution that integrates with your billing and AR platform? Companies turn to Horizontech to develop a broad range of technologies that deploy faster, become more efficient and lower costs. 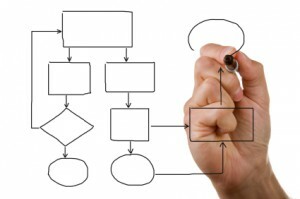 We invite you to challenge us with developing a very specific answer to your technology and business workflow issues. Contact Us today to get started.